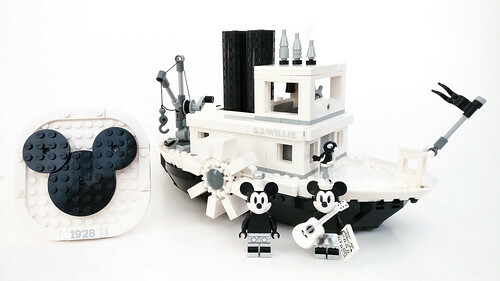 The latest LEGO Ideas set to be announced this morning was the Steamboat Willie (21317) which was to celebrate Mickey Mouse’s birthday. 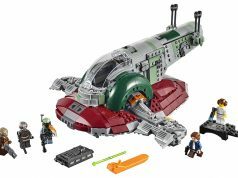 The set has 751 pieces and retails for $89.99 and we’re lucky enough to get a review copy to check out for you guys. 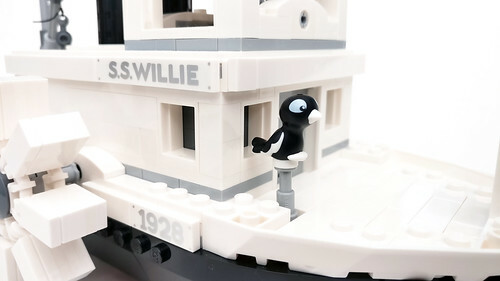 I will first say that I didn’t know what to expect since the original project was very small and not a good representation of Steamboat Willie. 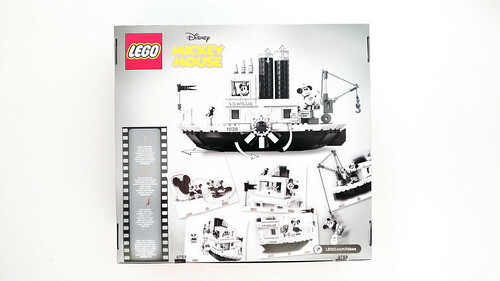 The box is quite large and the front shows Steamboat Willie along with Mickey and Minnie. 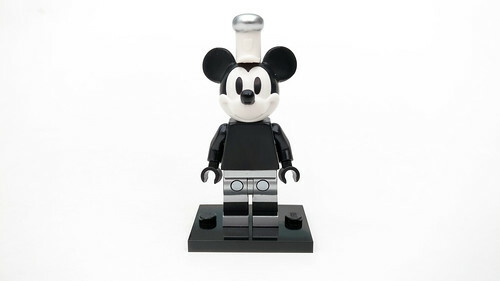 The Mickey Mouse logo on the top is embossed with some shine on the silver areas. 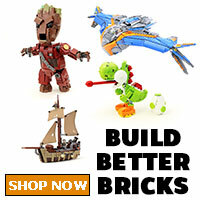 The waves in the water also has some shine to along with the LEGO Ideas logo on the bottom right corner. The sides of the box has some of the same shine for the Mickey Mouse logo as well as for Steamboat Willie at the bottom. The back shows some more product shots of the set in different angles. 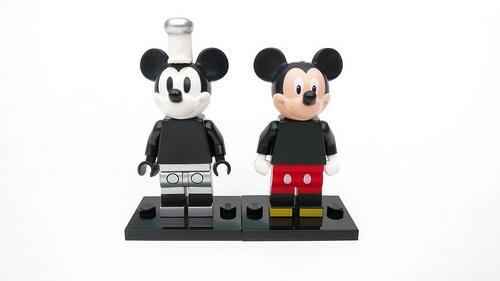 Mickey Mouse looks very similar to the one from the Disney Collectible Minifigures (71012) series except with some slight differences with the main one being this new one is black and white with some metallic silver. The head mold is the exact same but the eyes are painted all black with no pupils. 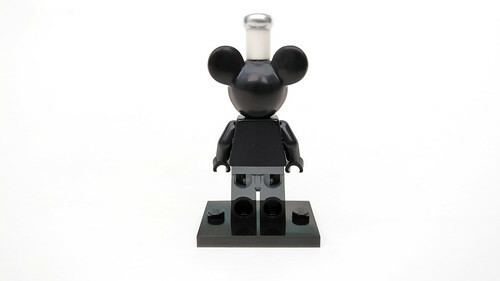 There’s finally a use for the hole on the top of his head as he uses it for the new hat piece. The torso is completely black including the hands. The legs are probably my favorite part of the minifigure as the front and sides have some metallic silver. Another difference here is that buttons on the shorts are round instead oval. 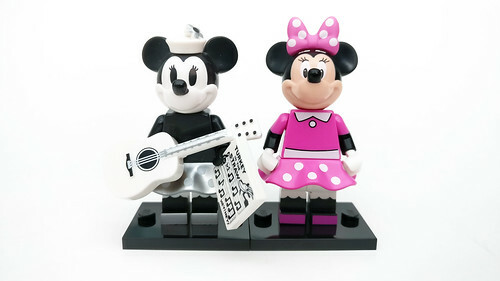 Like with Mickey, Minnie Mouse also has a similar look to the CMF version. The head again is the same mold as before except that the eyes are plain black with no pupils. Instead of having a bow, she has on a small hat with a flower. The torso and hands are plain black. The legs are the same as the CMF but are now black and white and have some metallic silver for the feet. 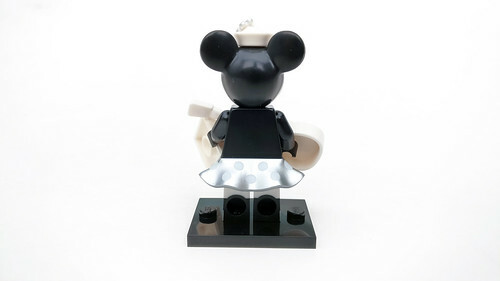 The skirt piece is also metallic silver with some white polka dots. Her accessories include a fiddle and a printed 2×2 tile of a music sheet of Turkey in the Straw. 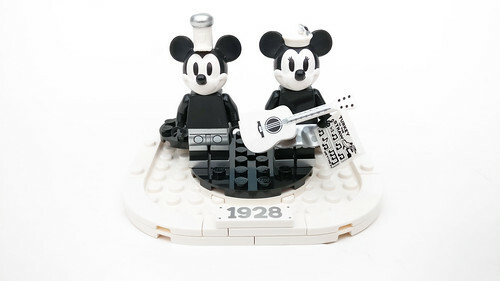 Before we start on the steamboat build, we have a little display stand for Mickey and Minnie. 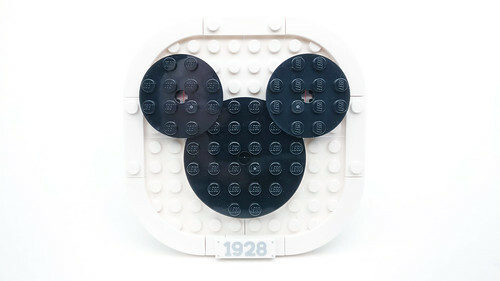 The inner part gives the mouse silhouette and the bottom has a printed metallic silver 1×3 tile of 1928 which is when Steamboat Willie was released. 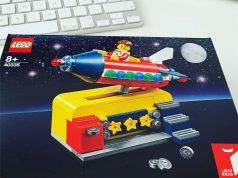 There is also a couple of stands you can attach on the back to raise it up if you don’t have the minifigures standing on it. 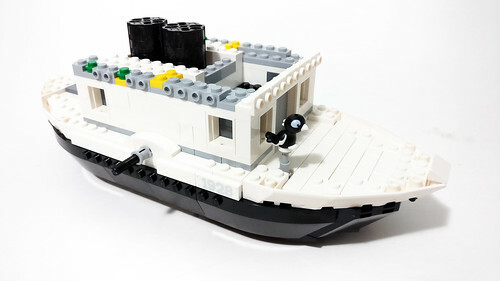 The build of the steamboat starts off with the building of the hull. Here we have a very colorful assortment of parts that is used for the mechanism for the rotating parts. 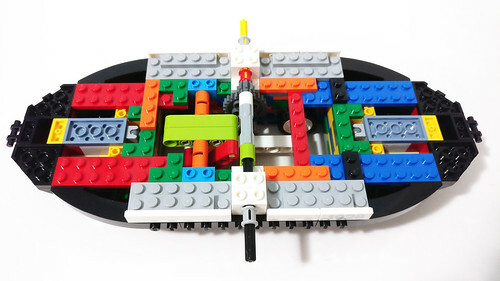 I’m actually surprised that LEGO was able to put in a fairly complicated system in a confined space. More on what happens later with it later on. This is also the last time you’ll see that much color in this set. Here you also get a couple more of the printed 1928 tiles on either side of the boat. 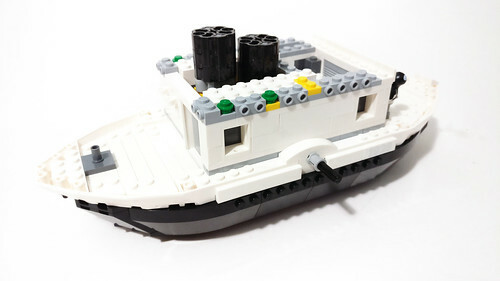 For the second set of bags, the parts are used to create the main deck areas for the bow and stern for the steamboat. 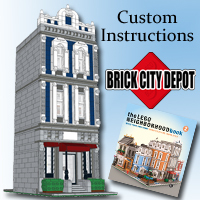 We also have an addition that is connected to the bottom mechanism for the moving steam pipes at the top. To cover up all the moving parts, we build the lower bridge around it and it works well since we do not see any of it when it is completed. 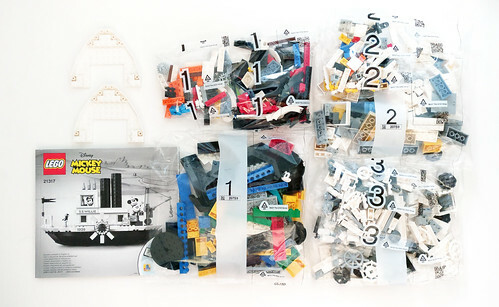 The last set of bags begin with building the paddle wheels that connect to the sides of the boat. I will say this is the most boring and repetitive part out of the whole set since you have to build out 16 paddles. 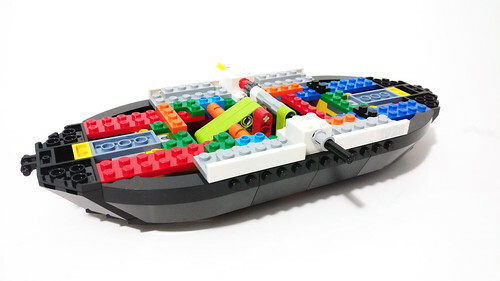 Inside the bridge, it uses the Fabuland ship wheel in a new medium gray color. For the bridge itself, it uses some white window frames with some pillars for the shape. 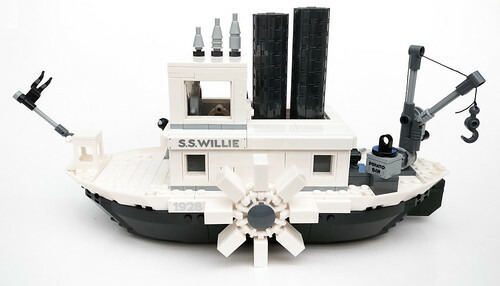 Right below it, there are some printed 1×6 metallic silver tiles of S.S Willie on either side of the boat. At the bow, there’s a little area for the flag. Right behind that is Mickey’s parrot that is also black and white. On top of bridge, there are the three whistles in descending size order. Behind the bridge, the steam pipes are extended longer to be taller than the bridge. 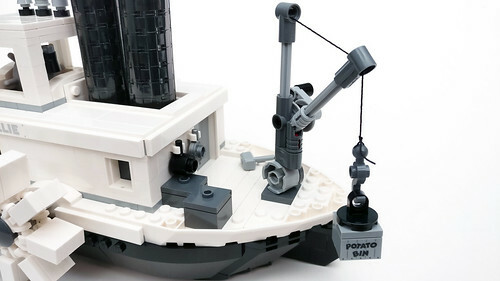 At the stern, we have a working crane that you can use to raise and lower the hook. 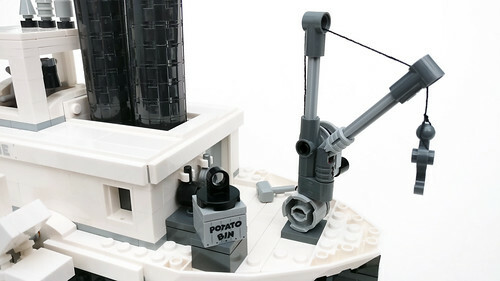 The hook can be used to carry the printed 2×2 brick of the potato bin. Hanging on the lower bridge are some pots and pans. On to the working mechanism, there are some wheels at the bottom for you to push it along. When you do that, the steam pipes move up and down alternately and the paddle wheels on the sides rotate. 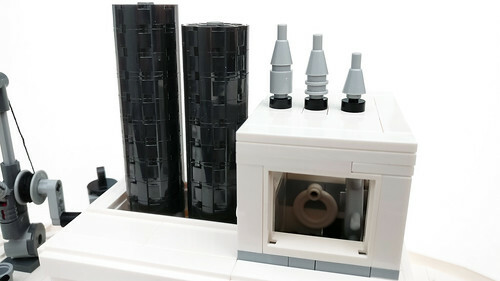 This play feature is new as it was not in the original submission and I’m glad that LEGO put it in. 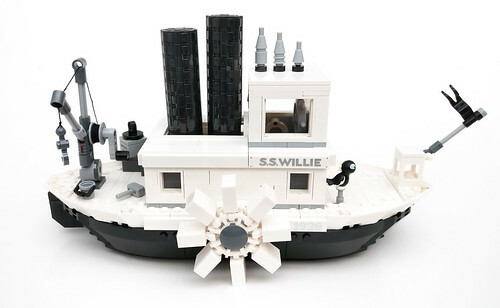 The LEGO Ideas Steamboat Willie (21317) is a very good set and I do appreciate the addition details that put in to enhance the original project submission. 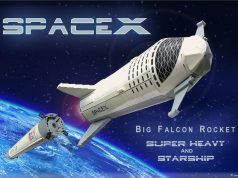 If LEGO released the set as what was proposed, it would’ve been the smallest set in the LEGO Ideas line with little to no playability and I’m happy that didn’t happen. 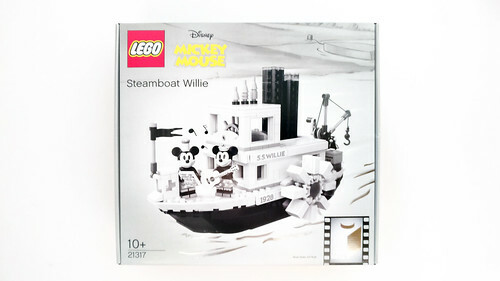 The size of Steamboat Willie is decent but I feel that it is not worth the $89.99 price point. 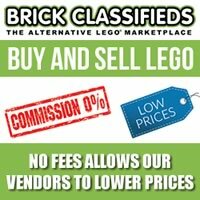 At that price, an additional Pete minifigure should have been included as well. 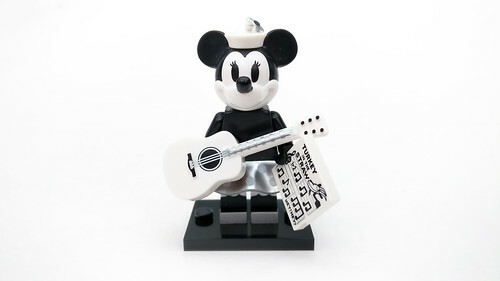 They did add Minnie Mouse who was not proposed but still, three minifigures at this price would have been icing on the cake. 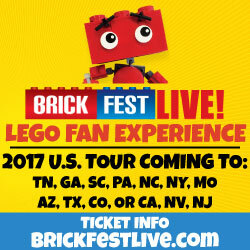 Previous articleRumored LEGO Stranger Things Set in 2019?